The seatboard is a very important part for the comfort of the harness. All ADVANCE harnesses are delivered with a carbon panel. 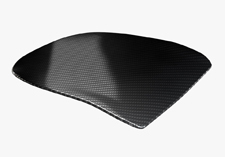 The weight of the carbon board is between 250g (S) and 290g (L).